What can nurses do to help people stop smoking? In this Evidence for Everyday Nursing blog, mental health nurse Hannah Walsh @hannaheawalsh considers the role of nurses in helping people stop smoking as she looks at Cochrane evidence on nursing interventions for smoking cessation. Is your Trust going Smoke Free? Do you have to record the smoking status of all of your patients? Are you expected to deliver smoking cessation advice? As a nurse, my overarching aim is to do what I can to improve the health of the patient in front of me, in the time that we have together. I do my best to address the most urgent issues. But what about their long-term health risks? 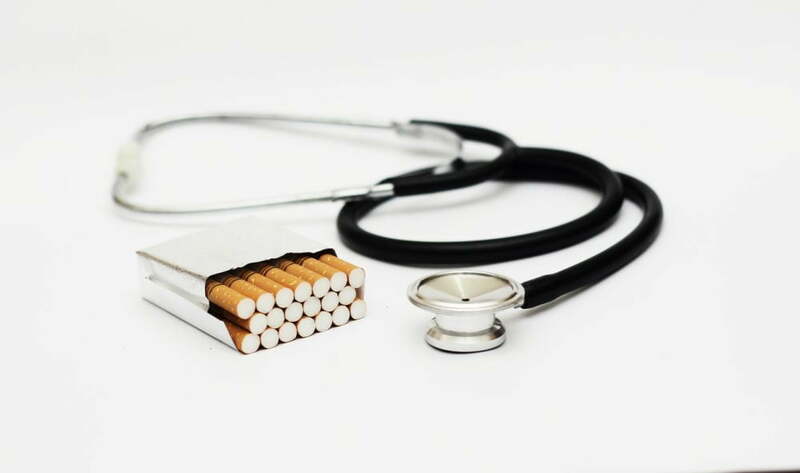 Smoking is a prime example of this – as a nurse I am well aware of the associated health risks, and the benefits of quitting – but do I feel confident that I can talk about smoking? Do I ask the right questions, and give the right answers? What role for nurses in helping people to stop smoking? Why should nurses encourage people to stop smoking? Smoking remains the single biggest avoidable cause of cancer and causes multiple health conditions including ischaemic heart disease and chronic obstructive pulmonary disease (Pearson, 2017) one in two regular smokers will die from a smoking-related condition (Doll, Peto, Boreham, & Sutherland, 2004). It follows that quitting smoking is perhaps the most important health behaviour change someone can make, to live longer and to live without a chronic illness. 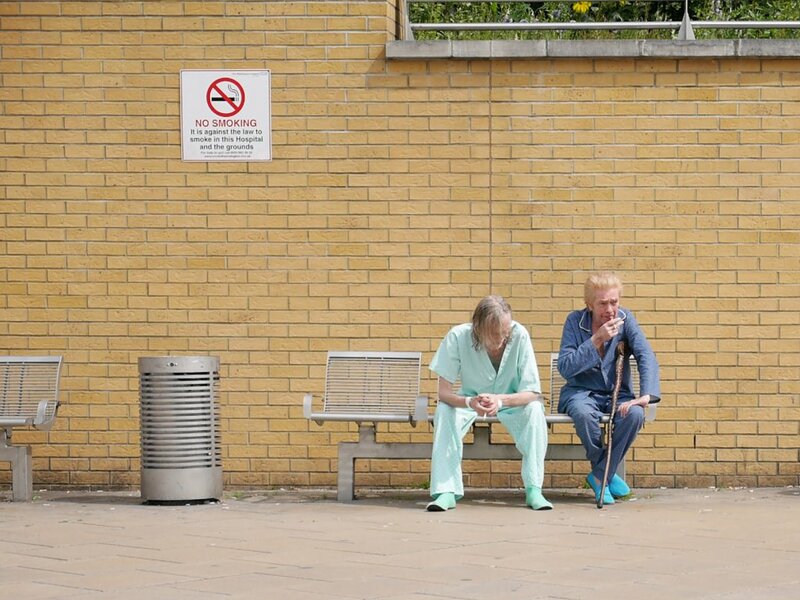 Admission to hospital presents an opportunity for someone to take advantage of support available to make a quit attempt at a point when they are focussing on their health. Duncan Selbie of Public Health England has recently written to all English NHS Trusts calling for their commitment to working towards a tobacco-free NHS. Going ‘Smoke Free’ is a change which entails not just no more smoking on hospital premises, but an emphasis on providing support and treatment for both patients and staff to make and sustain a quit attempt, and on ensuring all staff are adequately trained. It’s not about telling people to stop, it’s about telling people how to stop. Smoking cessation: a role for nurses? This made me wonder about how nurses respond to these expectations – whilst it’s hard to argue against the evidence of harms caused by smoking, we may not feel that we can do much about it. Are we the right people to be offering a smoking cessation intervention even if we’re not smoking cessation advisors? What difference do we make? As nurses we are viewed as caring, and pride ourselves on our capacity to empathise with our patients. But could our empathy get in the way of talking to people about smoking? Nurses make up the largest proportion of healthcare workers, and our role puts us in contact with patients in a wide range of settings, and crucially those with lower socio-economic status amongst whom smoking rates remain the highest (HSCIC, 2015). 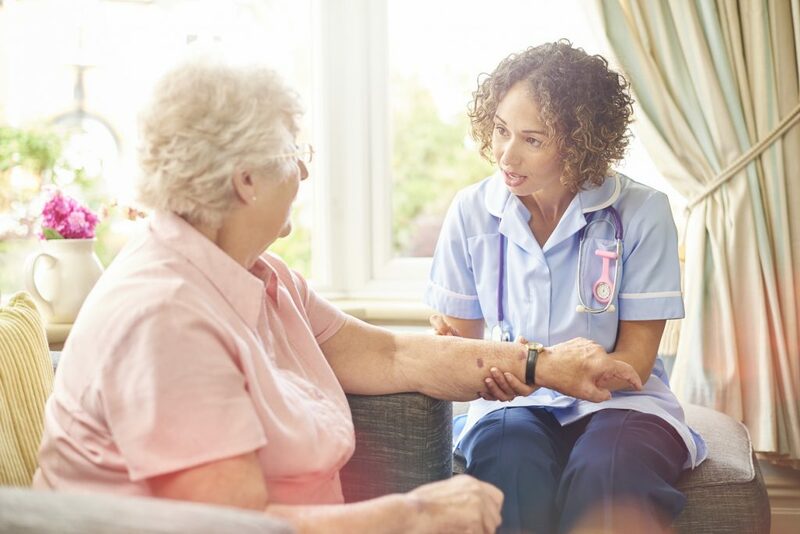 The role of a nurse is well suited to providing opportunistic, brief health promoting conversations and of making use of the therapeutic relationship to tailor the advice to that individual. We’re in a good position to know when, and how, to have such a conversation. But what does the evidence tell us about how effective nurses are at doing this? Rice et al (2013) reviewed the evidence on the effectiveness of nurse-delivered smoking cessation interventions. This Cochrane review included all interventions – from brief advice given in a matter of minutes, to more intensive interventions over a number of sessions, and interventions delivered both in and out of hospital. The review included only randomised controlled trials with adults, but excluded pregnant smokers, (psychosocial interventions for these women are reviewed here and pharmacological interventions here). The principle outcome measure was smoking cessation, and studies had to provide a minimum of 6 month follow-up data. 49 trials were included, ten of which were from the UK, with over 17000 participants in total. The interventions tested in the trials were rated as low or high intensity. Almost half of the trials recruited patients in hospital. The interventions were compared with control groups who were mostly receiving care as usual; as this may have included brief advice to quit, this was included in a sensitivity analysis as a low intensity intervention. Some interventions included promoting or prescribing nicotine-replacement therapy, but efforts were made to take this potential effect into account in the analysis. The overall effectiveness of nursing delivered smoking cessation interventions was measured, and a positive effect seen: the likelihood of quitting smoking was increased by receiving an intervention, compared to a control group receiving no intervention, and that higher intensity interventions were more effective than lower interventions. The authors point out the quality of evidence was only moderate, but that overall the evidence supporting the benefits of nurses delivering smoking cessation interventions is reasonable. Can nurses help smokers quit in their everyday practice? So although the evidence isn’t considered high quality, it seems reasonable to conclude that nurses probably can deliver effective interventions. But perhaps the next equally important question is do they? As the authors conclude, the challenge is to ensure that smoking cessation is embedded into everyday nursing practice, whether it is specifically part of someone’s nursing role or not. The Cochrane review found mainly studies where nurses were providing smoking cessation as part their main job role, or employed specifically for the study; and only four studies where smoking cessation interventions were not part of their core role. In three of these a low rate of intervention implementation was noted. So whilst this review shows us that nurses who are expected to deliver smoking cessation interventions as a core component of their work are effective at doing so, it doesn’t answer the broader question of how to optimise the opportunity that nurses have to deliver smoking cessation interventions. How often do nurses ask their patients about smoking? What factors influence this? There are a wide range of influences on the delivery of smoking cessation interventions both at an organisational level, and on an individual level. I know when my Trust went Smoke Free and smoking cessation became part of everyday conversation this sparked a real shift – I was expected to discuss smoking with my patients, I did so more frequently, and so did my colleagues. Some people were interested in quitting, and I advised them on this; some weren’t, so I’d make a note to return to it at a later date. So, if you’re a nurse wondering what part you can play– here’s your answer – even a brief intervention can have a positive impact. You don’t have to be a specialist. Ask, Advise, Assist, Arrange – the 4A’s. In 2015 the NHS in England employed 338,032 nurses (NHS Confederation). If once a month each one of those nurses helped a patient to make a quit attempt, then in a single year over 4 million people would make an incredibly beneficial health behaviour change. Just imagine that. So, how do we make sure every single nurse has that conversation with every single patient? Hannah Walsh has nothing to disclose. Views are Hannah’s own. Completely agree with you Hannah. Nurses are well placed to engage with 4As and make every contact count and have an impact on health outcomes. Especially required in mental health services.